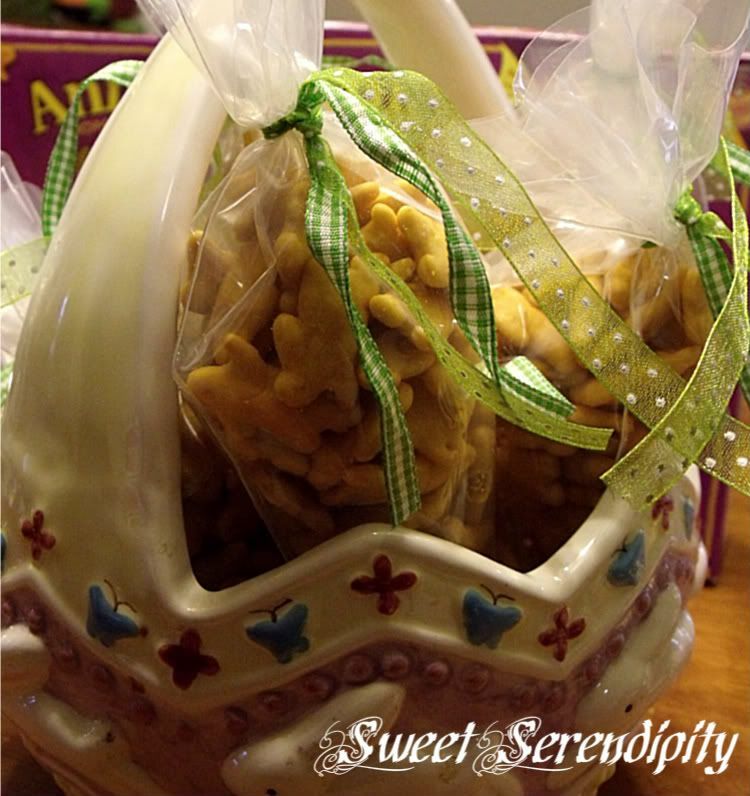 Serendipity from Jewels : Easter "Carrots"
My children love these crackers and they are perfect for making cute Easter treats. 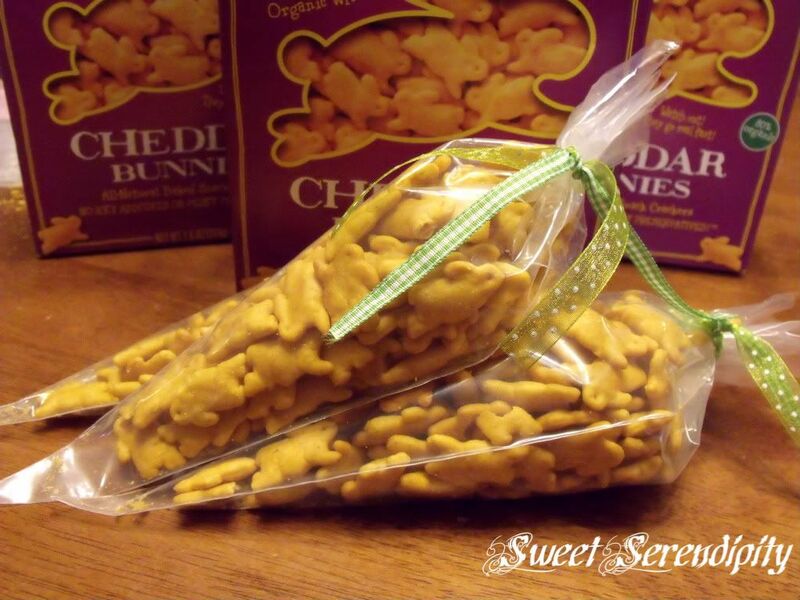 Take a cone shaped bag and add crackers to them and tie them closed with green ribbon to make the cutest bunny filled carrots!!!! 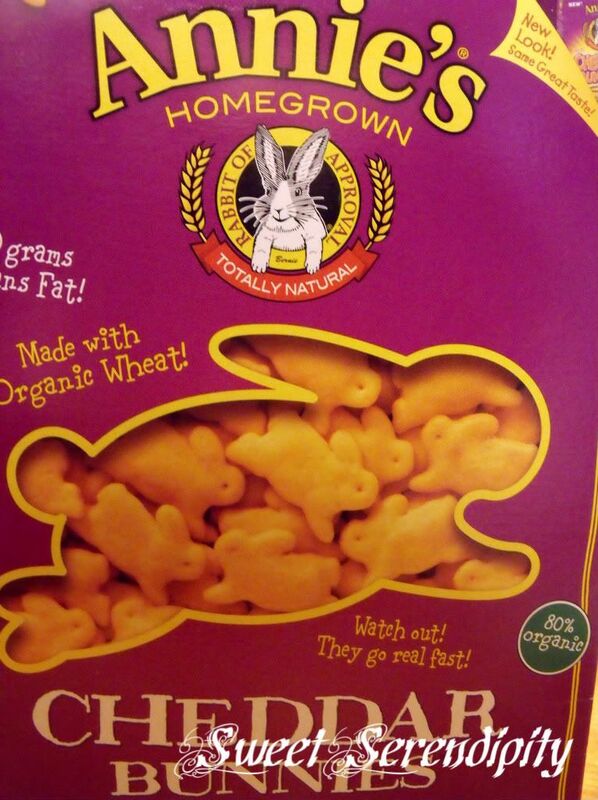 What a cute, healthy treat to put in an Easter basket!! Thanks for the simple idea! I love it!